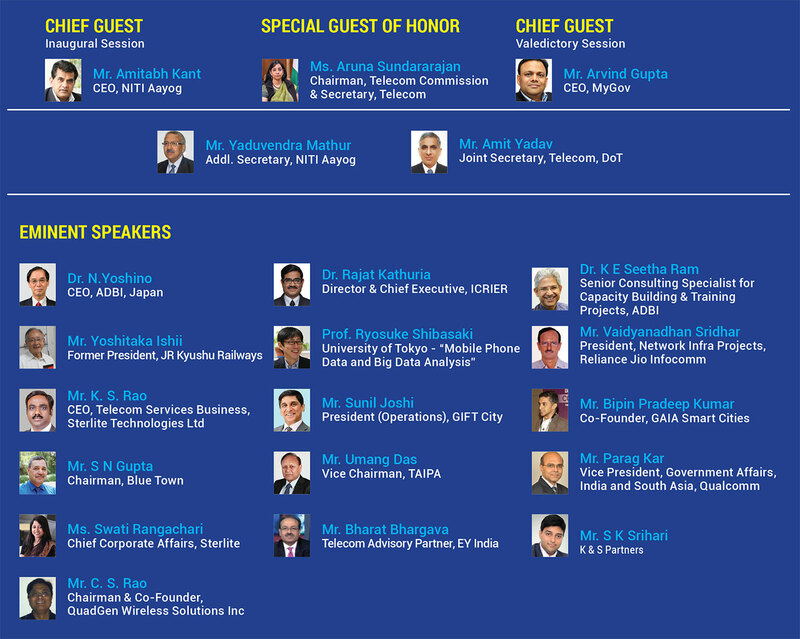 First ever and single largest India Event focussed exclusively on Digital Infrastructure and how it can help transform the country and help leapfrog from the traditional legacy infrastructure to the next generation infrastructure which shall be the bedrock of the multi-trillion dollar Digital Economy of the future. Be the flagship event bringing together Government, Industry, Associations, Academia, Start-ups, Entrepreneurs, Application Developers, Skill Promoters and other important stakeholders such as International Governments, multi-lateral Agencies involved in development & growth of infrastructure & Global Industry under one roof. Create a unique and distinct platform for the industry to engage with the government and key policy decision makers by providing direct input through recommendations and policy position papers. Use the event to showcase global players and India’s premier position in the field of communication and telecom infrastructure. Make a world class platform that can be the preferred destination for the global community to benefit from and engage with the vibrant telecom/mobility sector of the World’s largest growing Digital Infrastructure market. A similar workshop was held in Tokyo, Japan on 12th September, 2018 on this topic and we would like to bring the learnings from Tokyo and interact with the various stakeholders including ministries & industry verticals to share their inputs & findings of the research by ADBI, Japan for more effective investment in Digital Infrastructure.